The Varsity Cross Country competed the is past Saturday at the OHSAA District Tournament @ Malone University. 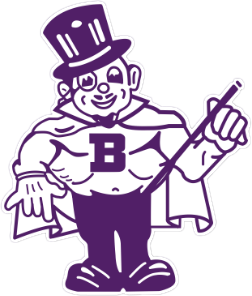 The 2015 Fall Sports Awards Night will be Tuesday, November 17, 2015 at 6:00 p.m. We will start in the BHS Theater with the large group session. That will be followed by a dessert social in the BHS Commons. We will then go into our breakout sessions with each individual sport. The next BASB meeting will be Monday, November 2, 2015 @ 7:00 p.m. in the BHS Commons. 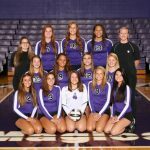 Although the Magics did not have any individual champions in the Suburban League or Sectional Tournament, the team had the heart of a champion every time they stepped on the court. The team had 26 girls on the squad this year and are looking forward to the 2016 season. The Lady Magics Soccer Team lost on Thursday to second seeded Brunswick 7 – 0. The loss drops the team to a final record of 9 – 7 – 1 for the season. The Magics Football Team lost to Medina Highland on Friday. The loss drops the team to a 6 – 3 record as they look to host Revere on Friday in the final game of the season. The Varsity Golf team competed in the OHSAA Sectional Tournament at Barberton Brookside Country Club. Although none of our golfers advanced, they had a successful season on and off of the course. 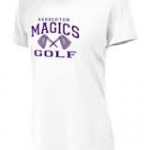 Thanks to Barberton Brookside Country Club for allowing to use their course this season! The Varsity Boys’ Soccer Team fell in the first round of the Brunswick Sectional Tournament to Akron North 5 – 2 on Wednesday. Both goals were scored by Austin Rector. The team finished the season with a 4 – 13 record.